Review of Hikmet Karcic (ed. ), Remembering the Bosnian Genocide: Justice, Memory and Denial, Institute for Islamic Tradition of Bosniaks, Sarajevo, 2016, 350 pp. 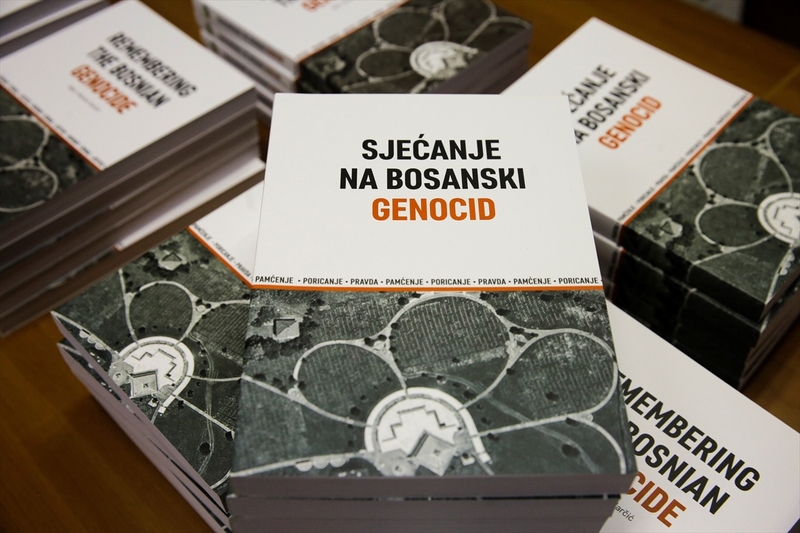 The current volume of essays arose out of an conference organised by the Islamic Tradition of Bosniaks and held in Sarajevo in 2015 to mark the twentieth anniversary of the Srebrenica genocide. Karcic has managed to assemble a collection of texts covering a range of themes related to the genocide – trials and courts, remembrance and memory and destruction of denial – that are generally of a high scholarly level and likewise pull few punches. In particular, Sandra Cvikic and Drazen Zivic have contributed a withering critique of the form of ‘transitional justice’ promoted by the international community and the International Criminal Tribunal for the former Yugoslavia (ICTY), whereby the genuine trauma and memory of the genocide among communities in Bosnia-Hercegovina and Croatia are expected to be suppressed in the name of ‘reconciliation’ and a blander, value-neutral form of memory that tends in the direction of equalising the guilt and suffering of the parties to the conflict and their respective populations. Similarly, former ICTY investigator Nena Tromp provides an account of the tribunal’s pragmatic compromises in the pursuit of truth and justice, in particular with regard to its failure to compel Serbia to hand over the uncensored minutes of the Supreme Defence Council; Tromp’s account is as well informed as one would expect given its author’s expertise, but also very critical of the tribunal’s policies. Norman Cigar’s critique of the US military’s contribution to the Bosnian catastrophe, in the form of its exaggerated estimates of the Bosnian Serb armed forces’ capacity to resist militarily and consequent bad advice to the Clinton Administration, provides an excellent antidote to cliches of US hawkishness, militarism and imperialism. There are too many more good essays and individual points contained in this volume to list them all, but just to give an example of the range, there is an essay by Safet Bandzovic on the abuse of Bosniak refugees from Srebrenica and Zepa in Serbia during the war – a sideshow to the genocide that has had little attention paid to it – and an essay by Alexandra Lily Kather on the international law regarding genocide that serves as a very good introduction to the subject. I am just sorry that Karcic was apparently unable to prevail upon the always interesting Geoffrey Nice to contribute a fully referenced academic article; his contribution here consists of a rather tantalising list of numbered points. There is, however, one criticism to be made of this collection of essays that transcends any single article, and it applies to many other similar collections relating to the war in the former Yugoslavia: various cliches have crept into several of the texts that should rightfully be dispensed with. Thus, John Weiss claims that in the Communist era in Yugoslavia, ‘The popular memories of the battles of World War II that set Partisan against Chetnik or White Guard, Ustashe against Serb or Jew, Handzar against Chetnik or Jew, and Yugoslavs against Russian were not allowed expression in the public sphere’ (p. 114). It was certainly a grievance of the Serb nationalists in the 1980s and 1990s that the memory of the Ustasha genocide against Serbs and Jews was supposedly suppressed, but it was not a legitimate one; the genocide was commemorated very publicly, for example in the memorial parks at Jasenovac and at Vraca in Sarajevo, while the Partisan battle against the Chetniks at Neretva in 1943 was depicted in the famous 1969 film ‘Battle of the Neretva’ starring, among others, Yul Brynner and Orson Welles; a more high profile commemoration could barely be imagined. Weiss also argues, in relation to comparisons between the Bosnian genocide and the Holocaust, that ‘As a tocsin to assemble and stir up the righteous, then, “Never again !” retains power, perhaps even more power than it had before the 1970s. But as analytic framework or policy guide, it has to be judged often misleading and occasionally dangerous’ (pp. 122-123). This seems to be an unwarranted concession to the ‘all sides are guilty’ attitude that dominated UN and international community thinking during the 1990s conflict, yet it was the latter, not the ‘Never again !’ position of pro-Bosnia activists, that resulted in the catastrophic international policy that culminated in the Srebrenica massacre. Bandzovic notes without criticism the view that ‘Everything that happened in Bosnia and Herzegovina and to the Bosniaks between 1992 and 1995 can be observed, according to a number of Serbian politicians and academics, as the continuity and completion of a process that began in 1804. Earlier events included Karadjordje’s uprising against the Ottoman government in the Smederevo Sanjak, the establishment and expansion of the Serbian state, as well as the disappearance of Muslims from this territory’ (pp. 224-225). Such a teleological, essentialising attitude toward Serb nationhood and nationalism as intrinsically genocidal has predominated among some of their critics, but it isn’t warranted: Serb national politics was historically at least as ready to co-opt the Bosniaks as it was to exterminate them, as witnessed in Ilija Garasanin’s 1844 ‘plan’, the readiness of the Serbian government in the 1850s and 1860s to recognised the land-rights of the Bosnian Muslim landlords, the Serbian Army’s generally correct treatment of the Muslim population of the Sandzak during the Balkan Wars of 1912-1913, the 1921 Vidovdan constitution’s recognition of Bosnia-Hercegovina’s historic provinces within the the new Yugoslav state, Milan Stojadinovic’s partnership with the Yugoslav Muslim Organisation in governing Yugoslavia in 1935-1939, and so on. Treating the genocide of the 1990s as simply the logical culmination of Serbian history detracts from the specific responsibility of the Milosevic and Karadzic regimes for organising and launching it. Samuel Totten’s recommendation, that there be established two major museums and research centres on the Srebrenica genocide (pp. 87-88) seems to follow the trend of over-emphasising the latter to the point where it overshadows the rest of the Bosnian genocide, treating the 1995 massacre as if it were something of an aberration. In fact, as Edina Becirevic’s research has shown, the Srebrenica massacre was the culmination of the genocidal policy begun in the preceding years, and followed on logically from the massacres of 1992 and the siege of Srebrenica of 1992-1995. Since the German courts found, in the Nikola Jorgic case, that genocide had already taken place in Bosnia outside of Srebrenica in 1992, and since the European Court of Human Rights upheld the legitimacy of this conclusion under international law, there is no need to commemorate the Bosnian genocide as if it only occurred in Srebrenica in 1995. All told, this is an excellent collection of articles that will be of interest to the newcomer to the subject and to the expert alike. But it highlights the fact that there is still more to do in challenging the stereotypes. On 24 March, the tribunal in The Hague will pronounce its judgement for the case of Radovan Karadžić for war crimes and genocide. What do you expect from the judgement ? Will it bring justice for the victims ? I expect that Radovan Karadzic will be convicted on the majority of counts, which will result in him spending the rest of his life in prison. I don’t expect him to be convicted on the first count of genocide, regarding the municipalities outside of Srebrenica – even though the ICTY Appeals Chamber ruled in 2013 on the Karadzic case that sufficient evidence existed to establish the actus reus of genocide for this count. ICTY Trial Chambers have, to date, failed to convict suspects of genocide outside of the Srebrenica massacre of July 1995. This contrasts with judges in Germany, who have, through the cases of Nikola Jorgic and Maksim Sokolovic in the 1990s, convicted suspects of genocide and related crimes in Bosnia outside of Srebrenica. 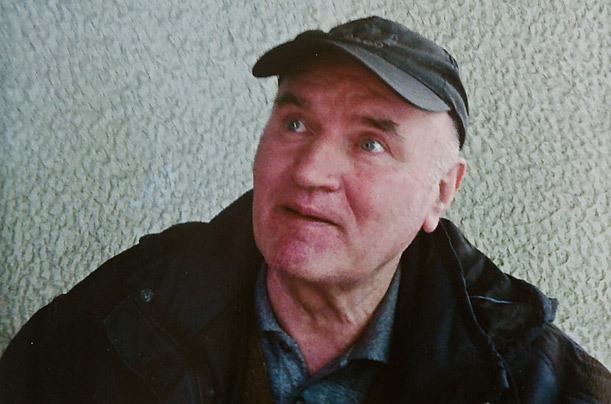 The European Court of Human Rights, in dismissing Jorgic’s appeal in 2007, confirmed that crimes consistent with the international legal definition of genocide occurred in northern Bosnia in 1992. Therefore, if the ICTY, as seems likely, fails to convict Karadzic on the first count of genocide, then the victims will not have received proper justice. To this should be added the facts that, so far, no official of Serbia has yet been convicted of war-crimes in Bosnia-Hercegovina, and that the two most senior Bosnian Serb convicts to date, Biljana Plavsic and Momcilo Krajisnik, are both already free after serving relatively short terms in prison. We cannot therefore conclude that the victims have received proper justice. What could be the consequences of the judgment for Bosnia ? Can we except tensions among the people, Bosnian Serbs and Muslims? Or could it be a step to final justice ? The judgement is unlikely to have major consequences for Bosnia, since it is likely to confirm the established narrative about the Bosnian war. Thus, it will not provide support for those who want to deny Serb-extremist crimes altogether, nor to those who seek recognition of the genocide outside of Srebrenica. Milorad Dodik and other Serb nationalists will continue to claim that the ICTY is anti-Serb, while the victims and their representatives will continue to feel that they have not received proper justice. The judgement will at least establish definitely the criminal character of the wartime political leadership of the Republika Srpska – already indicated by the convictions of Plavsic and Krajisnik – and in that sense will provide a small step towards final justice. But final justice remains a long way in the future. This week marks the 20th anniversary of the Srebrenica massacre of July 1995, when rebel Bosnian Serb forces carried out an act of genocide that claimed the lives of over 8,000 Bosniaks (Bosnian Muslims). In the interval, the world has come a long way towards acknowledging the crime. 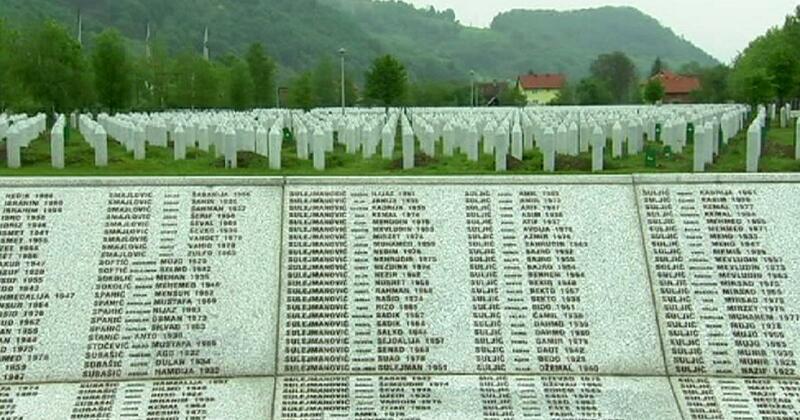 The International Criminal Tribunal for the former Yugoslavia (ICTY) and the International Court of Justice (ICJ) have both recognised that genocide was committed at Srebrenica. The European Parliament in 2009 voted overwhelmingly for a resolution calling upon all EU member states to adopt 11 July, the anniversary of the start of the massacre, as a day of commemoration. Consequently, the UK held its first Srebrenica memorial day event in 2013, and is currently sponsoring a resolution at the UN to mark the 20th anniversary. Bosnian Serb officers have been found guilty by the International Criminal Tribunal for the former Yugoslavia (ICTY) and the Bosnian state court of genocide and other offences in relation to Srebrenica. The two leading Bosnian Serb perpetrators, Radovan Karadžić and Ratko Mladić, are currently on trial at The Hague for the genocide. The world has come a long way, but from an ignominious starting point. The Srebrenica massacre did not come out of the blue; it was the crowning atrocity of a genocidal killing process that had begun over three years earlier, in the spring of 1992, and unfolded before the cameras of the global media. Not only did the international community – the United Nations (UN), European Union (EU), NATO and other bodies – not intervene to halt the genocide, but what intervention did take place made the situation worse. The UN maintained an arms embargo that hampered the ability of the fledgling Bosnian army to defend its citizens from the heavily armed Serb forces. The British and other Western governments resisted calls for military intervention to halt the killing, instead seeking to appease the perpetrators by accommodating their demands for the carving out of a Bosnian Serb territorial entity through the dismemberment of Bosnia-Hercegovina. Consequently, the Bosnian Serb leaders embarked on the massacre at Srebrenica in the fully justified belief that the world would not stop them, but would recognise their conquest of the town. UN officials blocked NATO air-strikes to defend Srebrenica, and the Dutch UN peacekeeping force supposedly defending this UN ‘safe area’ then abandoned or turned over to the killers the Bosniak civilians seeking their protection. The Dayton Accords that ended the war in November 1995 recognised the town of Srebrenica as part of Republika Srpska, the Bosnian Serb entity. Srebrenica was not just the shame of Serbia and the Serb nation, but the shame of Europe, the West and the world as well. Continue reading at the Holocaust Memorial Day Trust website. Scholarly interest in genocide has grown exponentially over the past two decades, due largely to two high-profile genocides during the first half of the 1990s: the genocide in Rwanda of 1994 and, in particular, the genocide in Bosnia- Hercegovina of 1992–95. Yet, paradoxically, the Bosnian genocide has inspired relatively little original research from scholars outside of Bosnia-Hercegovina itself. This article will examine the existing literature while suggesting a theoretical and historical framework by which the genocide might be understood. It will examine how far the genocide can be explained through internal versus external causes, ideological determination versus contingency, and short-term versus longterm factors. 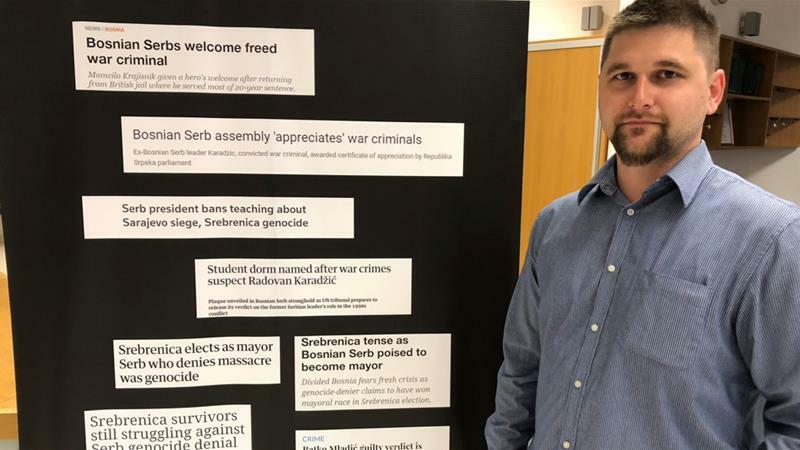 The claim that the organized mass violence carried out by Serb authorities and forces in Bosnia-Hercegovina in 1992–95 constituted ‘genocide’ has divided genocide scholars, but received strong support from some. For example, in reference to the 1990s, Eric D. Weitz (2003:235) writes: ‘as an eminently twentiethcentury dictatorship, Serbia made ethnic cleansing and genocide a cause not only of the state but also of the population as well’. Norman M. Naimark (2001:160) writes of the ‘genocidal treatment of the Muslim population in the first months of the war [in Bosnia]’. 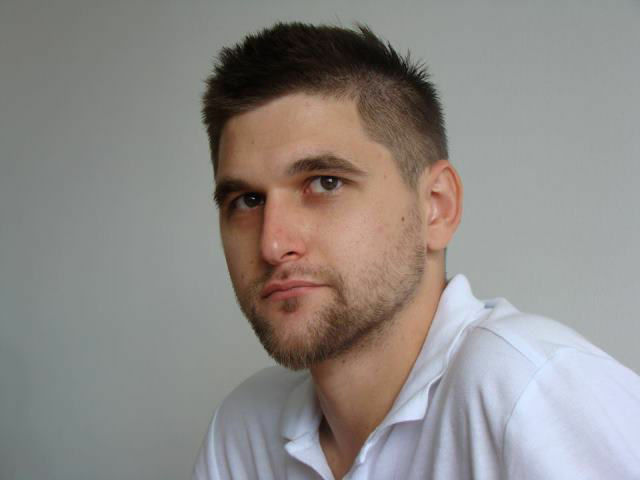 Adam Jones (2006:212–27) applies the term ‘genocidal’ to Serb atrocities in Croatia, Bosnia, and Kosovo, and Martin Shaw (2007:48–62, 130, 148) argues that ethnic cleansing must be categorized as ‘genocide’, a termhe applies to Serb atrocities in both Kosovo and Bosnia. Other genocide scholars challenge this categorization (Mann 2005; Semelin 2007). Nevertheless, detailed scholarly studies of the mass violence in Bosnia-Hercegovina by Smail Cekic (2004), Edina Becirevic (2014), and Norman Cigar (1995), among others, have supported the view that this was, indeed, a case of genocide. The international courts have been unanimous in declaring the Srebrenica massacre of July 1995 a case of genocide, with both the International Court of Justice (ICJ) and International Criminal Tribunal for the former Yugoslavia (ICTY) ruling that it was.1 But the verdict regarding other acts of mass violence perpetrated in Bosnia-Hercegovina in 1992–95 has been ambiguous.